This dude is on point! Love this. Subbed. mine is 0:00 – 17:34 including the black screen for 9 sec. PETER! Dude you are a godsend! I was just editing a video and triggered the pinwheel of death when I remembered about this video. Thanks so much for sharing my dude, I love your content and have learned so much from you. 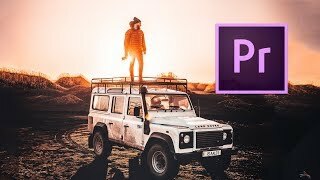 I’ve been editing for a while teaching myself but these tips BLEW MY MIND with their practicality. Thanks! wow those are life-changing tips. thanks a lot! I’m a complete noob, I learned something, but have no idea how to apply it. Need to find the ABC’s and 123’s of PP. Which one is your fav??! Thanks a lot Peter. I love those tips. The same kill switch should apply to Windows. Open the Task Manager -> Processes. Click on the View button and then, Select Column. The first option to select will be PID (Process Identifier), I believe it’s off by default in Task Manager, so make sure to tick it now, so it’s ready for the next time Premier decides to sleep. When you open the Command Prompt, you can try writing down what Peter said, but it might be different than kill -SEGV – 2034. Fun fact: SEGV means Segmentation Fault. Most probably a dangling pointer issue, or some sort of buffer overflow. loved the video, thank you for the tips and the attitude. Who else noticed the SHAKE effect when Peter coughed. Its the little things that make me love this channel. what is the commend for Drop Shift…? Awesome tips! Just shorten my work time from two days to one day. ! 🙂 Thanks! Shift A did not reverse the selection of clips to the left for me. Maybe a similar process to Mac’s Terminal would be the "End task" on Windows Task Manager, no? 08:40 – what’s that screen recording app doing that zoom? Thanks! 12:38 How you cut this in time ? I’m beginner and it’s help me too much things. Hope to watch more video from you. Hey Guys. Anyone here willing to edit my premiere cc music project for free? I have no clue how the software works but i managed to arrange the clips. I need color correction, grading, skin softening and any other final touches. OHMYGOSH. How do you know do 6:14 Kill switch save on Windows!?? Hey Peter, where did you purchase the cube? Let me know. this is gold sub, liked, thank you this is going to help me a lot!!! As an entry level Adobe Premiere user I can say these tips are gold. I will probably watch this video a few times . Phenomenal video, thank you! I think you talk too much rater see hands on with narration…. Part 01 HTML Tutorial in Hindi www.mentorsadda.com) How to Create 5 Amazing Glitch Effects in Photoshop!